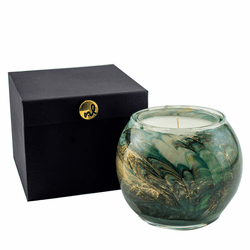 For the first time in NL history, our signature Esque candles feature a variety of unique fragrance options and a new wax painted technique combining swirls of color with the traditional gold wisps. Each Esque SLE is made by hand in the USA and packaged in a fabric covered gift box. 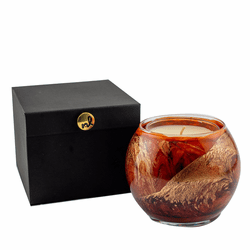 This special limited edition also features a new glass insert to protect the wax lining.